This summer I will once again be hosting professional development events in Maine. 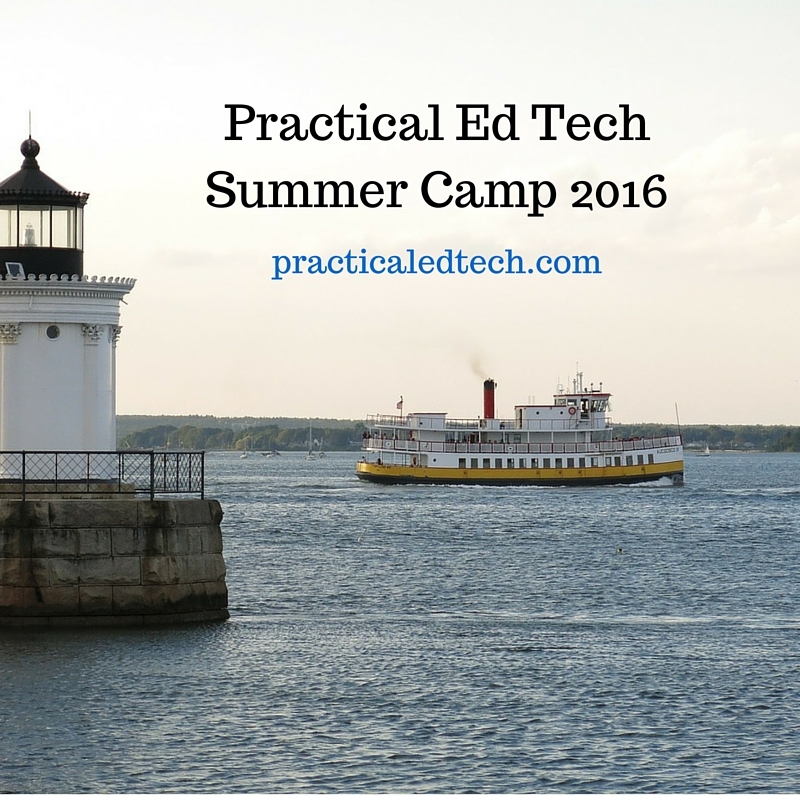 This summer I will host the Practical Ed Tech BYOD Camp on July 11-12, 2016 and the Practical Ed Tech Chromebook Camp on July 18-19, 2016. Both events are hands-on explorations of how to use free technology tools in your classroom. These two day workshops are based on my framework for using technology to help students discover new information, discuss their ideas, and demonstrate their knowledge. Registration in each event is limited to 25 participants to ensure that every participant gets the attention he or she deserves. A healthy breakfast and lunch is included on both days. 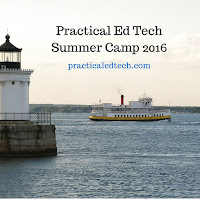 The Practical Ed Tech BYOD Camp on July 11th and 12th is for people who work in schools that have BYOD programs and 1:1 laptop programs (Mac or Windows), iPads, Android tablets, Windows tablets, or who have shared computers in a classroom or lab setting. Click here for registration information. The Practical Ed Tech Chromebook Camp on July 18th and 19th is for people who work in schools that have 1:1 Chromebook programs or are interested in learning more about Chromebooks in education. This two day event is very similar to the BYOD event but is tailored to address the unique aspects of teaching with Chromebooks. As you might expect, there will be quite a bit of attention given to using Google Apps in the classroom. Click here for registration information. Register for either event by April 30th and you will save $50 compared to standard registration. If you are subscribed to the PracticalEdTech.com newsletter you can take an additional $25 discount when you register online by using the discount code "subscriber."